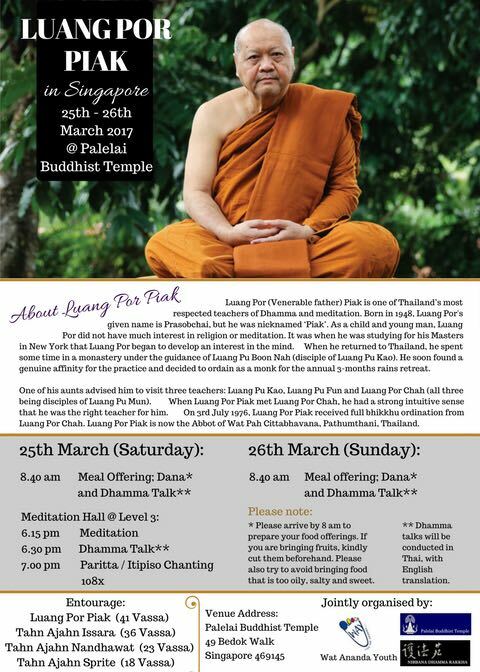 Luang Phor Piak will be here in Singapore for a short stay from 25-26th of March. He will be staying in Paleilai Temple during his stay. Kindly refer to the poster below for details. If there are any questions or doubts, you may pose them on our FB page or drop an email to this email address: way1966@gmail.com . This entry was posted in Forest Way on March 11, 2017 by wayadmin. He then began wandering, seeking out forest meditaion masters and studying with them. Along the way he translated into English many of the teachings he received in Thai (see Teachings). 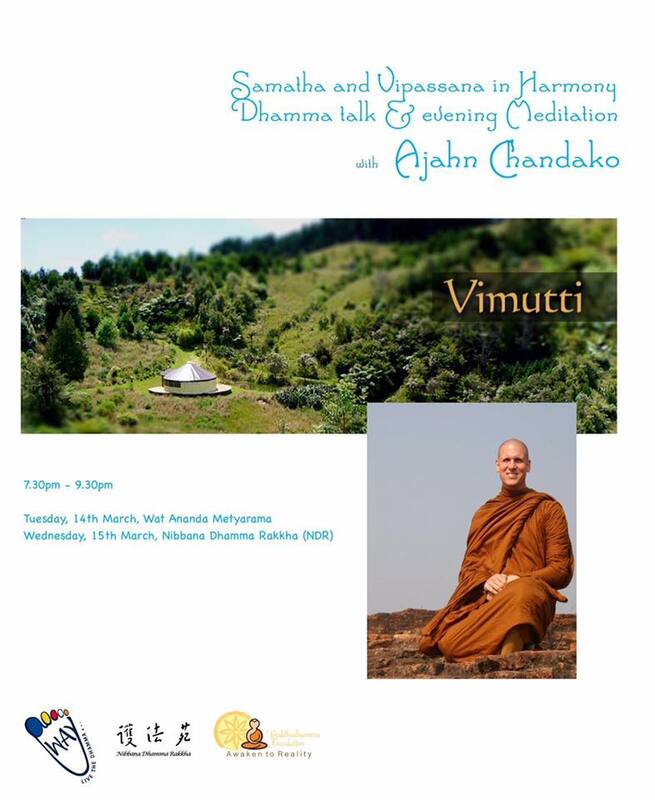 Included in his translations is Ajahn Chah’s Unshakeable Peace. Ajahn Chandako is also the author of A Honed and Heavy Axe. This entry was posted in Forest Way on March 9, 2017 by wayadmin.